Fingers! On fingers. On fingers. 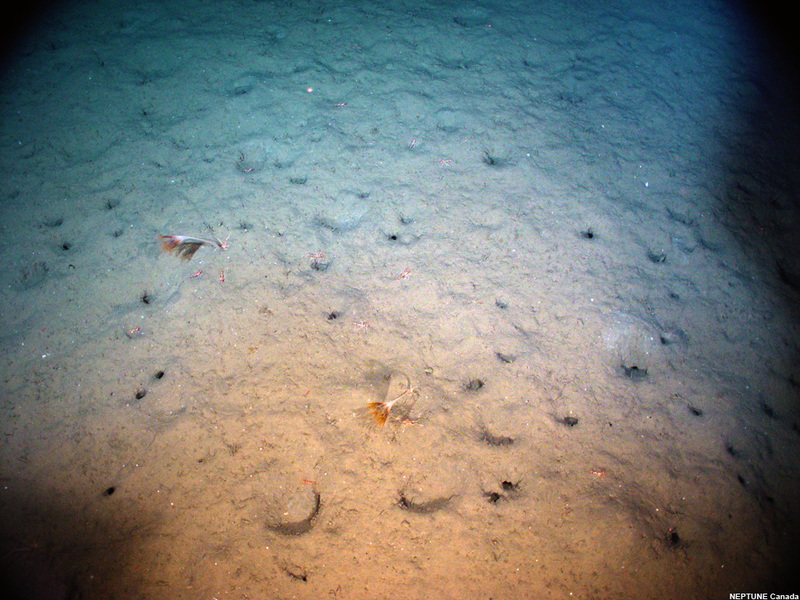 Umbellula is a genus containing several bizarre, deep sea Sea Pens. Sea Pens are soft corals who usually have lots of tiny polyps attached to a thick stalk. They look a lot like feathers or quill pens. Umbellula Sea Pens are completely different. 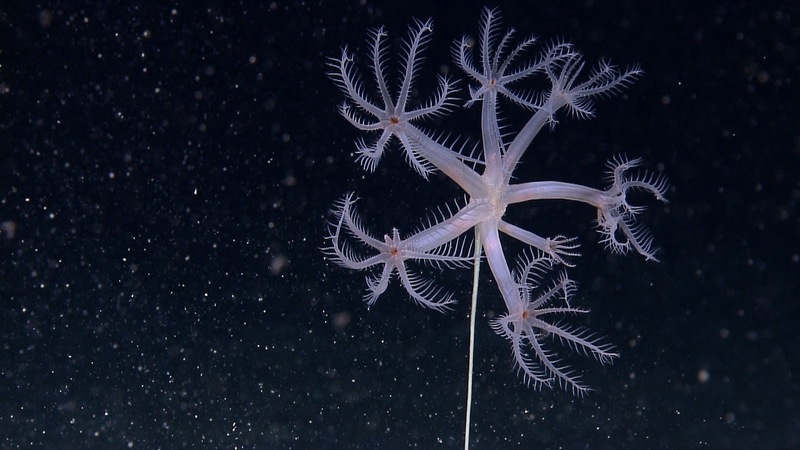 They have just a few huge polyps attached to the very top of a long, incredibly thin stalk. The stalk looks so flimsy it seems unlikely it could stand up to even the slightest current. That might be why they're found embedded in the muddy sediment of the deep. 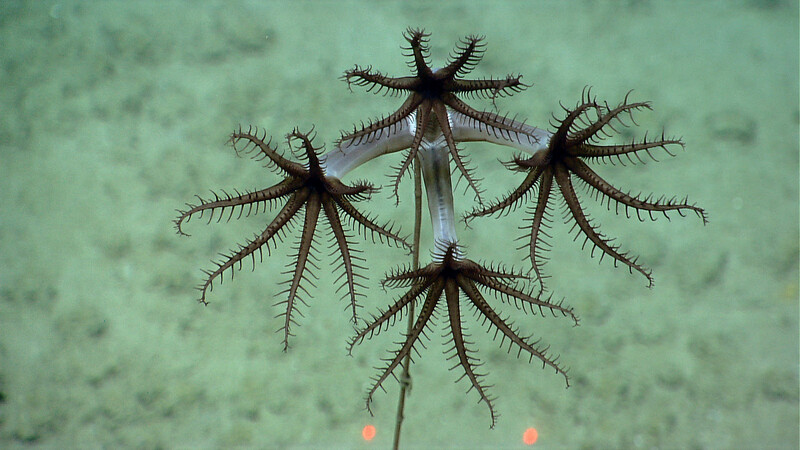 Each one of their polyps is armed with 8 stinging tentacles for capturing prey. But it can also look ghastly. Like squirming millipedes or the roots of some noxious, corpse-fed vegetable. It's amazing what you can do with lighting. Can't it be both? Branching, root-like tentacles surrounding an ancient star from whence the Deep Ones shall arrive? It's like they just had to one-up the other tentacled denizens of the deeps, by having tentacles on their tentacles, and tiny tentacles on those. Yo dawg, I heard yo like tentacles so I put tentacles on yo tentacles so you can tentacle while yo tentacle. It's the hand of an Elder Thing! Seriously, I couldn't tell whether it was an echinoderm or a cnidarian when I first saw the pictures. And when I enlarged the fourth picture for the first time, my eyes couldn't convince my brain that that crazy-thin stalk was actually part of the animal rather than some kind of photographic artifact. 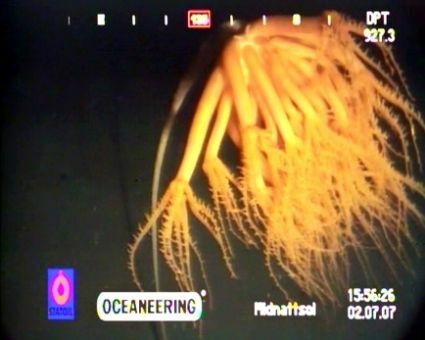 At any rate, it's beautiful and creepy and weird and fascinating all at the same time…like a lot of things in the deep sea. @Crunchy: I must admit, this suggestion has extraordinary explanatory power. 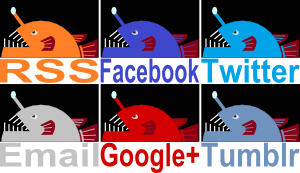 @Jacob Littlejohn: It's a tentacular arms-race! Tentacles-race. 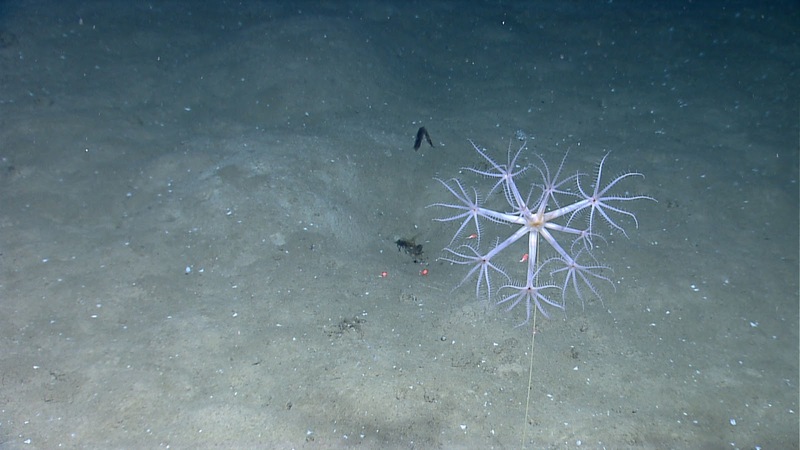 @Pangaea: Yeah, it looks like it could be a weird crinoid of some sort. Whether a weird crinoid or a weird sea pen, it was always going to be a particularly weird example of a weird animal. 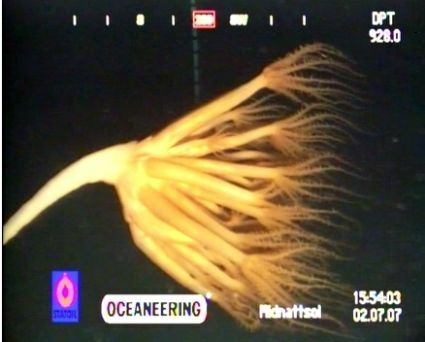 That's what I like about the deep sea, it's the weird just gets weirder!